Twinning is an Institute initiative that encourages Districts that are financially able to aid those most in need. 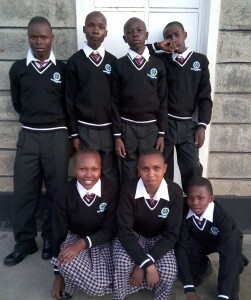 The twinning program of the Institute of the Brothers of the Christian Schools partners Districts capable of providing funds with Districts in need. The then-United States-Toronto Region launched the program in 1995 acting on a call from the Institute to financially assist economically poor Districts and new Districts that were forming. A goal was to help these Districts achieve financial self-sufficiency in the long term. 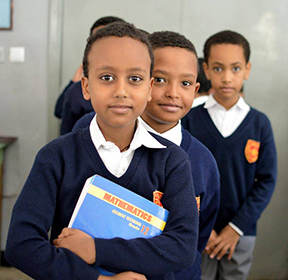 The schools in the Lasallian Region of North America (RELAN) are twinned with the Lwanga District in Africa, which includes the countries of Kenya, Nigeria, Eritrea, Ethiopia and South Africa. The high cost of education in Africa presents a major challenge for most students who are financially poor and even without families in some cases. Therefore, the schools subsidize much of the cost. Schools use twinning donations for tuition assistance, maintenance and expansion of school facilities, the purchase of books and class materials, and other essential school expenses. To limit additional costs, students in Africa are responsible for many chores on campus, including cleaning buildings and maintaining grounds, growing food, and preparing, serving, and cleaning up after meals. 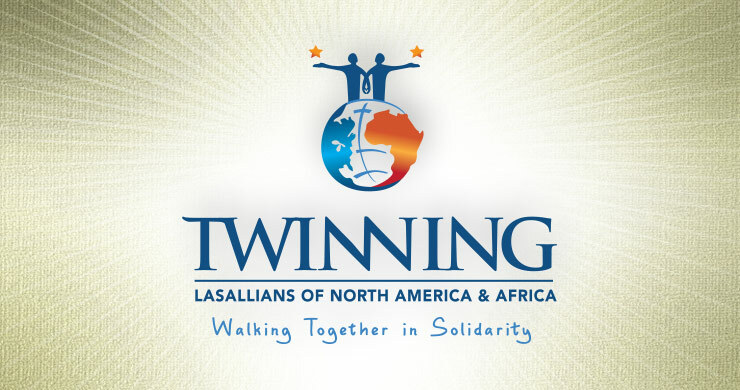 While the benefits for African students are many, twinning also impacts Lasallian students in North America by giving them an opportunity to learn about other cultures, customs, and viewpoints along with becoming more aware of their own blessings. It helps to build character and respect and develop responsibility. The partnership brings together Lasallian students on two continents, in solidarity as brothers and sisters, to share challenges, accomplishments, stories, and experiences. Christian Brothers Conference coordinates the Region’s twinning program, facilitates communication between twinned schools, and serves as a resource center.